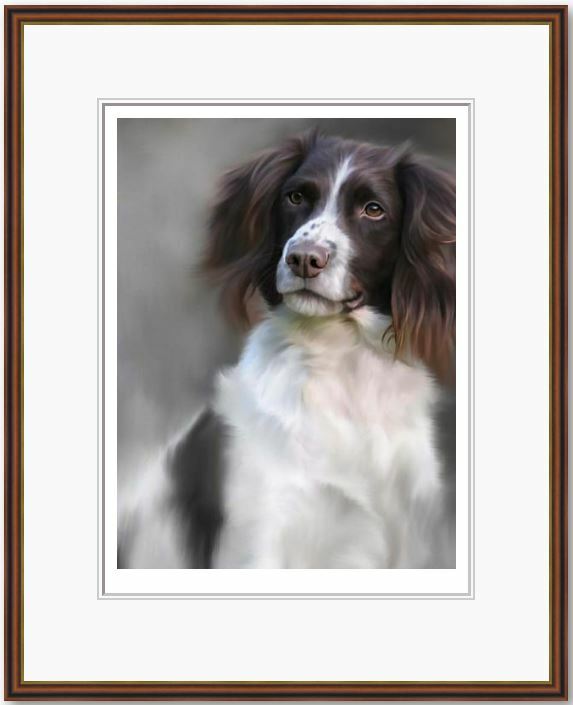 One of a series of limited editions, celebratory Nigel’s 40 years as a professional painter, here we have the iconic Springer Spaniel. 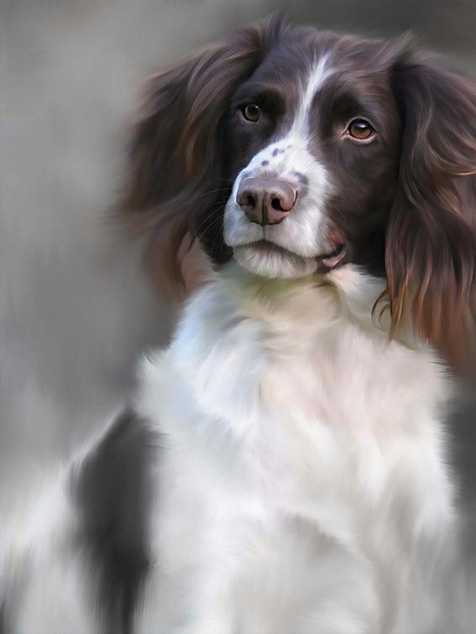 To many, the springer spaniel represents the most intelligent breed, certainly of British gun dogs. Nigel has captured the inquisitive nature of the dog in her gaze and the breed’s deep intelligence in her eyes, as she awaits the master’s call to action! Notice the dog’s body is out of focus and the face and head is in focus, as Hemming continues his modern artistic interpretation of one of the UK’s most popular breeds.